The Ionian, with the islands Zakynthos, Kefalonia and Ithaca are known for their crystal clear waters and beautiful beaches. Join us on this new island-hopping adventure and discover the best of what this region, steeped in legend, have to offer. Join us on this wonderful new holiday, where we spend 4 days island-hopping in the Ionian Sea, discovering the hidden beauty of the islands of Zakynthos, Kefalonia, Ithaca and historic Olympia on our private chartered boat. Sit back in the sun, and enjoy the views as we sail between the islands, spotting the occasional dolphin, swimming in deserted bays and rounding off these perfect days with tasty meals in village tavernas. After touching down into Zakynthos our first two days give us time to adjust to the relax paced of island life and the warm Greek temperature. We can laze by the hotel pool or explore local beaches. If we fancy picking up some souvenirs Zakynthos town is just a 15 minutes taxi ride away and excellent for shopping. The Venetian style town has lots to offer, disappear in a maze of narrow streets with shops or enjoy a chilled Greek coffee on the buzzing boulevard and see fishing boats bobbing in the harbour. All aboard! After breakfast, we head off for Zakynthos town, after a quick tour through the town we find Captain Jorgos and his traditional boat ‘Argo’ waiting for us to board in the harbour. Our course will be set for Skala on the island of Kefalonia. During the crossing we can relax and lounge on the spacious deck, keep an eye out for dolphins as they are a common sight in these waters, so keep your camera ready! 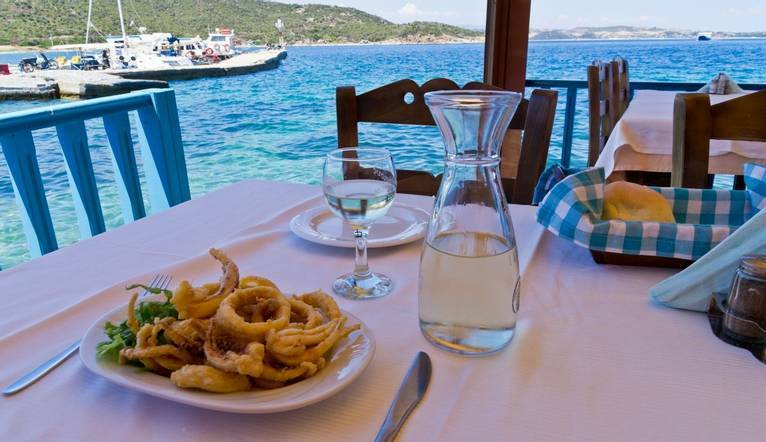 Discover the village of Skala and select one of the many taverna’s for lunch. After some swimming and snorkeling the next stop is the charming village of Poros. Our hotel is located in the village centre, with the boulevard and beach just around the corner. 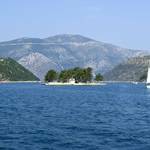 Today we head towards the mythical island of Ithaca. On the unspoiled south side of the island we’ll pause for swimming and lunch. We’ll sail further to the intimate capital of Vathi, shortlisted as a UNESCO World Heritage for its Venetian style appearance. The town lays sheltered in a natural bay and along the boulevard the houses are playfully painted with colorful pastel shades and life here is still pure Greek style, siga, siga (slow, slow). Discover the narrow alleys of town and enjoy a cold chilled Greek coffee on the main square. We’ll have dinner in a traditional taverna, beautifully situated along the bay. 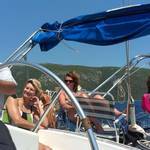 With the sight of gorgeous Vathi fading away behind the horizon, we’re off to the northern tip of Kefalonia. For lunch and shopping we’ll anchor in the stylish and picturesque port of Fiscardo. Get filled with awe and enjoy the armada of private yachts and sailing boats, while sipping an ouzo on one of the many tables along the bank. After lunch the compass is set south, but we will pause en route and anchor in a secluded cove and cool off by diving off the board. Just before the sun sets above the glittering sea, we’ll enter the port of Agia Efimia. 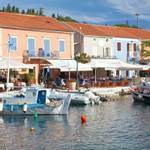 This small fishing port is renowned for its outstanding taverna’s which all serve specialties of fresh caught fish. After breakfast you could join an island tour of Kefalonia, with a minibus we’ll be visiting the monastery of the sacred Gerasimos, the patron saint of the island. The roads leads through the natural park of Eneos, a wonderful and protected green forest with, almost extinct, shy Kefalonian wild horses and not to be missed is a visit to the celebrated Robola vineyards and to taste some fine vintages. After lunch we will embark a ferry to mainland Greece and our day ends in ancient Olympia, a magical spot where the classic Olympics were held. The unique archeological site of Olympia is a must-visit and to avoid the crowds, we’ll be at the gate first thing in the morning. We’ll tell you all about this significant place which includes the original stadium, several gymnasia and the temple of Hera, here you are free to roam around at your own pace. We’ll leave around lunchtime and journey back to Zakynthos where we will spend our last night in the islands capital. Our farewell dinner will be celebrated in one of the traditional tavernas where Kantades are sung. These local songs praise the beauty of the Ionian Islands; with everything we’ve seen we could easily sing-along! Hopefully we’ll have time for one last plunge in the warm Mediterranean before we head off to Zakynthos airport. * Full details and exact prices will be advised in resort. Sailing itinerary subject to change due to weather conditions. The transfer from Zakynthos Airport to our hotel is approximately 20 minutes. We suggest a Group Collection to cover transfer drivers, and hotel/boat staff of €20 per person. Your Tour Leader will collect this on your behalf and distribute it accordingly, thus relieving you of the burden of who, when and how much to tip. The tipping of housekeeping will be left to your individual discretion (a small amount left in your room on departure should cover this and would be much appreciated). As is customary, ‘the hat’ will be passed around for the driver and guide on all optional excursions. For any meals that are not included in your itinerary, or taxi fares, your Tour Leader can advise of an appropriate Ϻdd on. 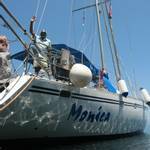 Listed below are just a few of the optional tours available to you. Please note that prices shown may vary according to numbers. Full details will be given at your Information Meeting. All tours must be paid for in euros only. Your Tour Leader will help arrange these for you but may not necessarily accompany you. Join us for a trip around this beautiful island. We’ll be visiting the monastery of the sacred Gerasimos, the patron saint of the island. The roads leads through the natural park of Eneos, a wonderful and protected green forest with, almost extinct, shy Kefalonian wild horses. And not to be missed is our visit to the celebrated Robola vineyards to taste some fine vintages.